So it is, didn't even click on to that! Falkirk is still accessible for plenty! After today's 4-1 win against Hamilton (Middleton scoring again) we're now level on points with the tarriers but 3 goals better off & level with Hibs who have played a game more but have a better goal difference. Means we now play Falkirk on the 6th of May to win the league, with the tarriers playing on the Friday before. I wonder if the game will be moved to Ibrox at night to attract a crowd for it! 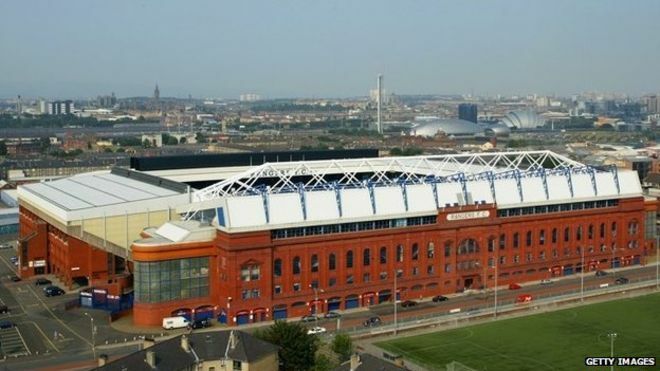 Ibrox will be rocking if they drop points! Even more so if it goes into the following week! Unfortunately Killie are never taking anything & the sheep's record against them up there is shocking! That's one of the worst comments iv heard on here, Hearts bogey team? 😩😩😩😩 We're not their bogey team, we're just better than them! How anyone can say there's no bias from the SFA & that wee fenian cow is beyond comprehension. Paranoid protestants right enough! Squatting & Nada for me!! I think something like the temp covers that were up for the club deck staircases would be good at the end of the Broomloan & Copland stands. This is a pointless arguement, Rangers will accept full allocation next season because if we don't, many in our own support will be unhappy that they're being denied a ticket because Rangers are refusing tickets. Failing to see the bigger picture. The board really need to get together with the taigs and put something forward to the other clubs to get agreements in place about allocations. This is a bit different to filming players at events.. He's literally looking into the camera when he says it! I'm sure if you asked him he wouldn't regret it in the slightest! I mean imagine saying that about your biggest rivals! No different to the thumbs "yer clubs deid" which was meant to be "great patter"
I would say it's the other way round, they went after Brown purely to allow them to go after us. Hence why Gerrard gets a 1 match ban & brown gets a hearing that will amount to nothing. Absolute token gesture citing Brown. Gerrard gets an automatic 1 match ban, Brown gets a 'hearing'. £50,000 for this boy, what a bit of business! His performance looked effortless yet assured again tonight! Add that to the way he was straight in to back up Kent on Sunday, he could be a big big player for us going forward! I know mate, I don't know who enjoyed it more! Looks like I'll be purchasing a second seat next season!